On Saturday the 14th April 2018, De Balie spoke to the Singaporean political scientist and diplomat, Kishore Mahbubani, about how the Western world is losing its hegemony to Asia. The West has been at the forefront of world history for almost 200 years. However, one of Asia’s most-renowned thinkers, Kishore Mahbubani, says that this era is now coming to an end. China, India and other states are now rapidly catching up with and overtaking the West, both at an economic and at an intellectual level. On April 14th, De Balie will, therefore, speak with the second thinker in their De Balie invites series to find out: why is Western hegemony coming to an end and how should the West respond? On April 14th, Mahbubani will present his new book: Has the West lost it? In this book, he writes about the decline of Western dominance and the West’s ignorance of this fact. Mahbubani warns the West that it needs to adapt to this new reality and it needs to do so quickly. The publicist and academic, Paul Scheffer, will lead the discussion with Mahbubani as they investigate the myths of Western dominance through the critical perspective of an outsider. To find out more, watch the recording at the top of the page. Kishore Mahbubani is a Singaporean academic and former diplomat. He works at the National University of Singapore, where he was formerly the dean of the Lee Kuan Yew School of Public Policy and is currently a professor for the practice of public policy. From 1971 to 2004, he served in Singapore’s Ministry of Foreign Affairs and was Singapore’s Permanent Representative to the United Nations. In this role, he also served as the president of the United Nations Security Council in January 2001 and May 2002. Paul Scheffer is a publicist and professor of European studies at the universities of Tilburg and Amsterdam. He has published several books and articles on Europe and the importance of borders, culture and politics. In the De Balie invites series of discussions, De Balie welcomes key international thinkers to Amsterdam to discuss topical subjects. 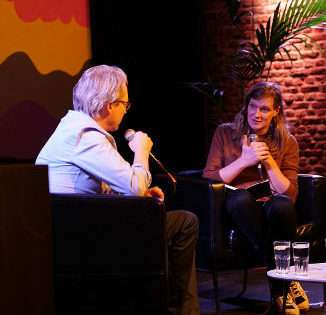 De Balie sees it as its duty to stimulate reflection and dialogue on issues of key importance, thus, creating the essentials for a society which is open, democratic and organised according to the rule of law. 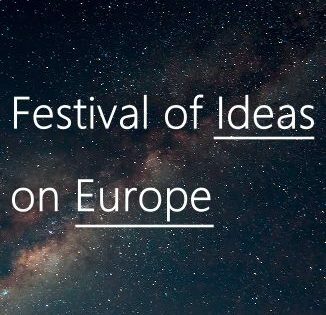 As such, De Balie invites these international speakers to come to Amsterdam with fresh and challenging perspectives and to open up the debate and to cause us to consider key topics in a new way. It chooses topics which help us to understand the age we’re living in and speakers who history will one day judge to have been key thinkers of our time. To keep informed of upcoming media content for all TTT debates, you can follow us on Twitter and/or Facebook, where we regularly publish updates about the availability of new material. Furthermore, you can stay informed about all De Balie recordings by subscribing to their Vimeo channel, which you can reach by clicking here.